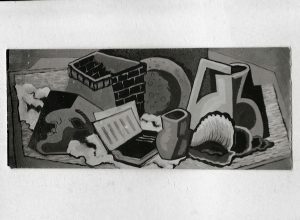 „Stilleben mit Krug und Muschel“, 1928, Öl auf Leinwand, 55 cm x 45,5 cm. 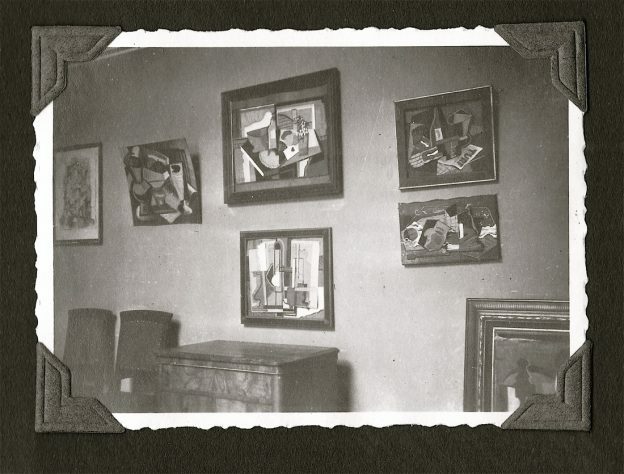 In the Fritz Wiegmann Archive in Frankfurt is a photo of another cubist still life showing partly a similar composition. Photo album of Wiegmann from 1928. Wiegmann Archive Frankfurt. Wiegmann was born 1902 in Minden. While still being a student, he moved to Berlin and later on became an art teacher, after the war in Wunsiedel and in Frankfurt/Main. 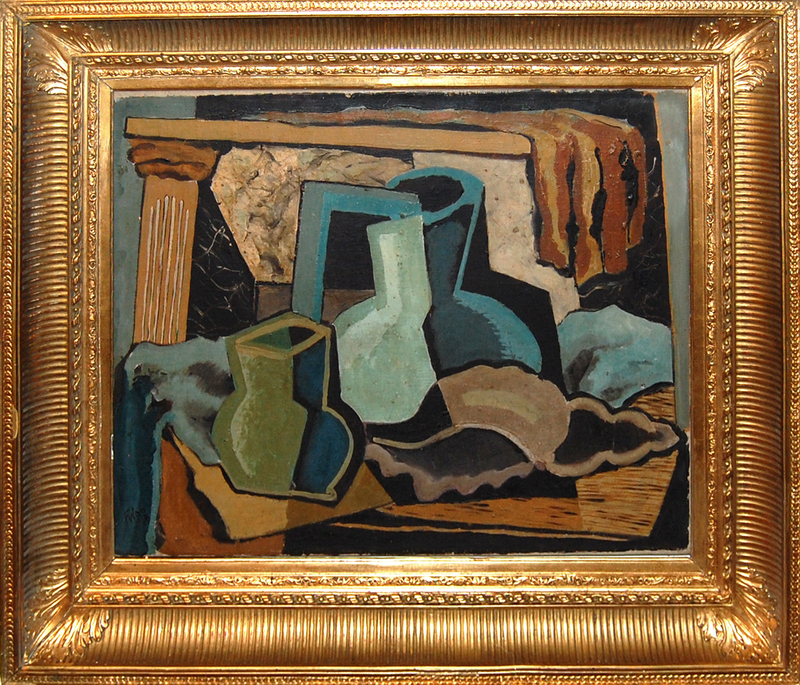 He was friend with the cubist Rudolf Ausleger, who worked similar in the 1930ies. Wiegmann participated in national and international exhibitions in New York, Palma de Mallorca and Peking. During the Nazi regime, he left Germany and travelled to France, Italy, Spain and China.